We are very fortunate to be connected with the large FPMT community of lineage masters and teachers, who regularly visit us to give teachings, meditation retreats, and tantric empowerments. We also have two FPMT teachers currently living in the Denver/Boulder metro area who regularly lead courses throughout the year. Rinpoche is a Geshe Lharampa, the highest scholarly honor, in the lineage of H.H. the Dalai Lama. He is the President and Professor of Buddhist Studies at Maitripa College in Portland, OR, one of only three Buddhist universities in the United States. 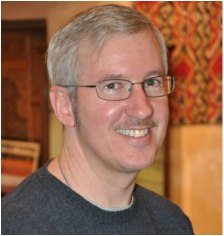 He is the author of Practicing the Path, a modern commentary on Tsongkhapa's Great Treatise on the Stages of the Path to Enlightenment, ​one of the heart texts of the Gelug lineage. Rinpoche was one of the early guides for Lama Yeshe House and most recently visited in 2015 to offer teachings and empowerments. Ordained at Kopan Monastery by Lama Zopa Rinpoche at age 9, Geshe-la went on to completed his monastic studies at Sera Je monastery in India, earning the title of Geshe in 1999. After spending time at Gyume Tantric College, Geshe Sherab was sent to the US by Lama Zopa Rinpoche in 2001 to offer service at FPMT International Office and teach at FPMT centers. 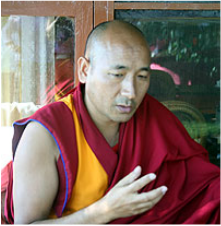 Geshe Sherab has been teaching Buddhism in many parts of the world since, and is currently the resident teacher of Thubten Norbu Ling, in New Mexico. Geshe-la recently taught the Lama Yeshe House community in April 2016. Ven. Robina Courtin is an Australian-born, TIbetan Buddhist nun who has been teaching around the world for decades. She was one of the early students of Lama Yeshe and Lama Zopa Rinpoche, having met the Lamas over 40 years ago. She is the founder of the Liberation Prison Project, a non-profit offering Dharma to prisoners in the US and Australia. She is also the subject of the award-winning documentary, Chasing Buddha. ​Don is the resident teacher at neighboring Thubten Norbu Ling (TNL) in New Mexico, and also serves as a Buddhist teacher for Liberation Prison Project, which includes teaching Buddhism at a local prison in the state. In 1998 Don enrolled in FPMT's Masters Program of Buddhist Studies, a full-time seven-year residential study program in Tuscany, Italy, taught by the incomparable scholar, Geshe Jampa Gyatso. By 2004, he successfully completed all five subjects of the program and received a certificate with high honors. When not at his resident center TNL, Don travels and teaches at a number of FPMT communities around the world, including Lama Yeshe House. Meditation Centre in McLeod Ganj, India in 2000. She completed her MA in Buddhist studies at Maitripa College in 2009 and continued her studies at Maitripa College with the Vajrayana Certificate Program. Jane feels very fortunate to have met His Holiness the Dalai Lama, Lama Zopa Rinpoche, Yangsi Rinpoche and Jhado Rinpoche in this life. 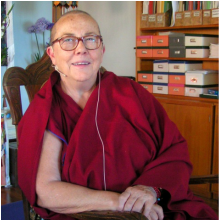 Jane is an FPMT-registered teacher and is the current Coordinator for the Lama Yeshe House Study Group. Justin is an FPMT-registered teacher, and has a MA in Buddhist Studies from Maitripa College in Portland (2009), and a BA in Religious Studies from Naropa University (2005). Justin has been practicing Tibetan Buddhism for 14 years and is a longtime student of Yangsi Rinpoche and Lama Zopa Rinpoche, and was a co-founder of Lama Yeshe House back in 2003. 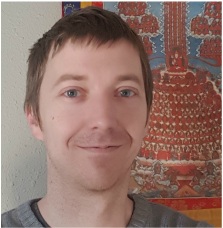 He currently works as Donor Services Coordinator for FPMT International Office remotely from Colorado and serves as the Spiritual Program Coordinator for Lama Yeshe House.